Co-owner Antonio Catalano (front left) alongside staff at the newly-opened MAIA cafe. The Italians behind MAIA Gelato are bringing the cafe area of Rugby's Art Gallery and Museum back to life. MAIA took over the site yesterday, Thursday May 10, and the owners said they are excited to begin serving a mix of Italian and English food. Co-owner Marcello Magaldi said: "We didn't want to duplicate what we have already done at MAIA Gelato. "MAIA Cafe is in a public building so we wanted to serve a mix of English cafe food with an Italian twist. "We've hired an English chef with over 20 years of experience to create food which is a blend of English and Italian culture." The cafe has no signs set up yet, but as of yesterday food and drinks are being served. Co-owner Antonio Catalano said MAIA Cafe will not just be on the site for a couple of seasons - adding that owners and staff view the venture as a long-term project and plan to get to know what their customers like. He said: "We want everything to be the best quality - all of our food is freshly prepared. There's no rubbish and no cheap stuff." 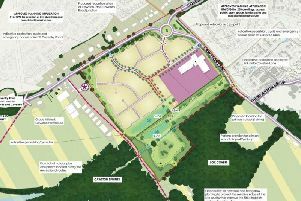 Rugby council has praised MAIA's decision to expand to the site. As well as jacket potatoes, paninis, sandwiches and hotdogs the cafe is set to eventually serve a small selection of MAIA Gelato's famous ice cream.